Cleaning is a ubiquitous interspecific interaction on shallow tropical, subtropical, and temperate reefs, involving hundreds of species in all ocean basins. This remarkable mutualism encompasses fish and/or shrimp “cleaners” that remove and consume organic debris, parasites, tissue, and mucus from “client” invertebrates (e.g., anemones, crabs, octopuses) and vertebrates (e.g., sharks, bony fishes, turtles, iguanas, and cetaceans. Often regarded as a facilitative interaction, cleaning may be an important driver of reef community structure. Cleaning evolved independently in several unrelated taxa, resulting in a remarkable diversity of interaction types and behaviors. Besides the burden of epibionts, wounds, and parasites, visual and tactile signaling comprise the proximate causation of cleaning interactions. 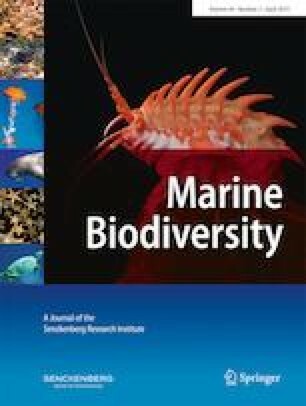 However, there are a few examples of nocturnal cleaning on marine ecosystems, which always involve shrimps acting as cleaners. 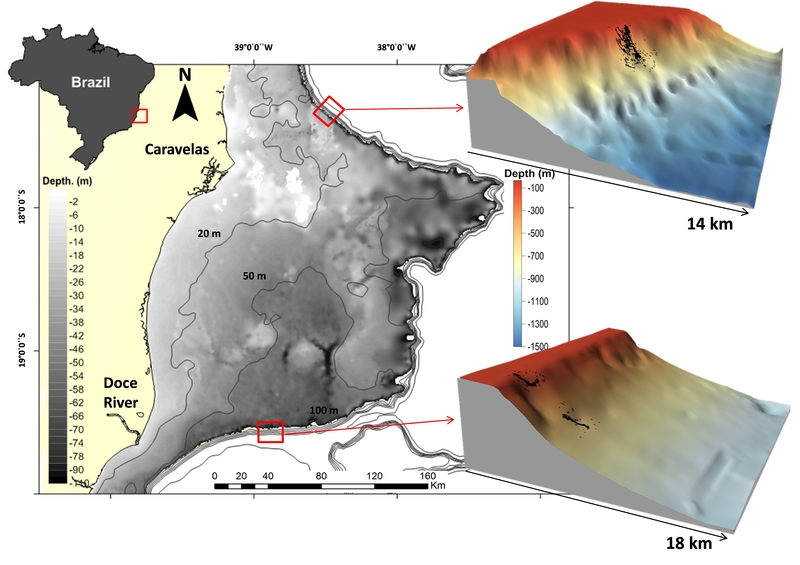 Here, we report on caridean shrimps (Decapoda: Caridea) cleaning four species of carnivorous fishes in the disphotic-aphotic transition zone (280–320 m depth), based on submersible observations at the continental shelf slope off Northeastern Brazil. 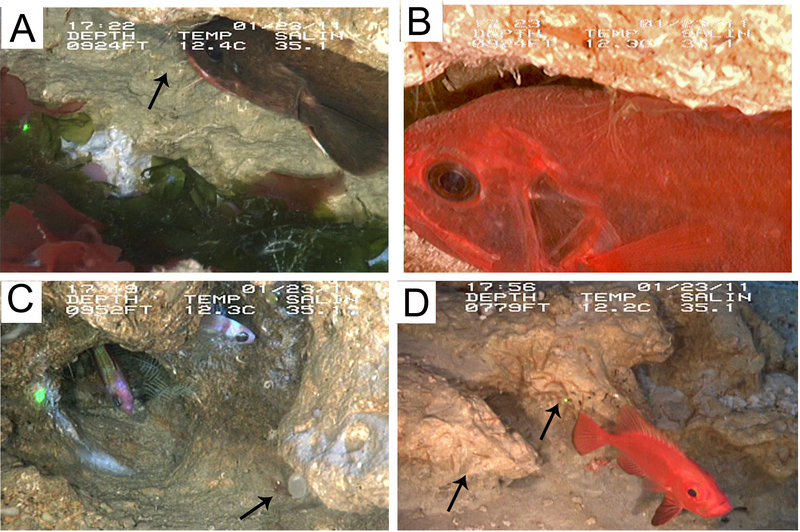 This is the first record of shrimp-fish cleaning interactions in deep-cold waters, and our observations support the idea that tactile signaling is of foremost importance in such interactions. We hypothesize that the complex daytime behavior and other adaptations of dedicated cleaner shrimps may have evolved from incidental cleaning by shrimps seeking food on nocturnal shelters of larger fish, or on deep water, where vision plays a minor role. The online version of this article ( https://doi.org/10.1007/s12526-018-0852-2) contains supplementary material, which is available to authorized users. We thank Shirley Pomponi (Florida Atlantic University), the crew of R/V Seward Johnson, and the CEPEMAIS team for logistical support during fieldwork. The Brazilian Biodiversity Agency, ICMBio, provided research permits. The authors benefitted from CNPq, FAPERJ, and FAPES grants. This is a contribution from the Rede Abrolhos (www.abrolhos.org), sponsored by ANP/Brasoil. The authors declare no conflicts of interest. No animals were killed or harmed during this research.